Aloha & Welcome to Hawaii..! Listen to "Hawaiian CD DVD Music Videos"
get "Free Music Player Downloads" / "Free Media Player Downloads"
As in most indigenous cultures the Hawaiian Cultural heritage of the early Hawaiian people was handed down through multiple succeeding generations via ancient Hawaiian Music, Hawaiian Music Lyrics, and the Hawaiian Language as well as the earliest of Hawaiian Hula Dance forms. It has only been in recent decades that Contemporary Hawaiian Music Lyrics were put to ink and the printed page. Since few Hawaiian musicians even read music each Hawaiian Song lyrics had to be translated and hand printed over an extended period of time. Early Hawaiian Music artists and Hawaiian Music composers simply listened, felt and then played their music by and from the heart. 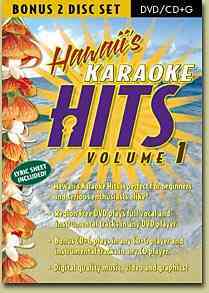 Many of the Hawaiian Music lyrics to the Hawaiian Songs presented here are available to purchase on Hawaiian Music CD or DVD Video formats, the most pospular being, "Somewhere Over the Rainbow Song" as sung by the now famous Hawaiian singer Israel Kamakawiwo'ole. Israel "IZ" Kamakawiwo'ole (May 20, 1959 - June 26, 1997) or "IZ" as he was affectionately called, is one of the most beloved and fondly remembered Hawaiian Music artists and composers in the Hawaiian islands. "Israel Kamakawiwoole" was Born in Honolulu Hawaii in 1959 and spent the first five years of his life with his Grandfather, ("Tutu Kane" in Hawaiian) on the Hawaiian island of Niihau. In 1964 he returned to the island of Oahu to live with his immediate family and learned the importance of his Hawaiian language and heritage. IZ was a native Hawaiian, who upon his death in 1997, at the age of 38, was only the second citizen to receive the honor of having his body lay in state at the capitol building in Honolulu Hawaii. Israel IZ Kamakawiwoole is remembered fondly in Hawaii and throughout his worldwide fan base as much more than just a singer, song writer and composer. IZ sings original Contemporary Hawaiian Music in the native Hawaiian tongue and performs his beautiful ukulele song using his solo tenor ukulele to accompany the gentle purity of his golden smooth and passionate voice which covers an extraordinary range of vocal octaves. "Facing Future" is the CD Music album that garnered "IZ" international recognition and made him a superstar among Hawaiians or as "IZ" liked to say; "Hawaiians at heart..." His music was featured in last year's "Superbowl Half-time Show" and on the popular television series "ER". His heartfelt and dreamy rendition of the "Some Where over the Rainbow" & "What a Wonderful World Songs" have also been heard Internationally in the movies; "Meet Joe Black", "Finding Forrester" and "50 First Dates". These presentations have resulted in "IZ" becoming the bestselling Hawaiian Artist of all time. Izzy's Hawaiian Music Lyrics, Hawaiian Music News and local Hawaiian Artist Links are featuring along with "Somewhere Over the Rainbow Song" Lyrics are offered on these pages for your enjoyment. To listen to Israel Kamakawiwoole's Hawaiian Music & DVD Videos simply touch any CD-DVD album cover to transport to Downloadable Free Music tracks. Listen to Music on MP3, Real Audio or WindowsMedia Free Music Players with free download links provided on all pages. 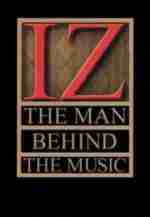 A more detailed chronology of the "Life of IZ" can be found featured on the site: Biography of the Man and his Music including an overview of the Hawaiian artists significant milestones and artistic accomplishments all the way up to his untimely death at the age of 38 in 1997. A timelined chronological biography of the life of "IZ" may be accessed at the "Israel Kamakawiwo'ole Biography Highlights" web site. Also be sure to visit the "IZ Memorial Tribute" web site. For the Hawaiian Music Song Lyrics to many of IZ's Hawaiian songs including "Somewhere Over The Rainbow" visit our "Hawaiian Music Song Lyrics Directory". Scroll down for a detailed biography of "Israel Kamakawiwo'ole" and related Hawaiian Music links. Download & Play Free Downloadable Music with your choice of Windows Media Player, Real One Player, Win Amp MP3 Players, Music Match Juke Box Plus, Quicktime Media Player, Yahoo Music Video Player and Free MP3 WMA Song Players & Music Download Sites. Multi-Lingual "International Website Language Translators"
Copyright�2008 Michael AngelOh CyberStudios all rights reserved. Any composition of text, graphics, images, coding content and the arrangement thereof without the prior written permission of Michael AngelOh CyberStudios is strictly prohibited.